If a dark or yellowed smile is affecting your look, we can uncover the sparkling smile you desire with one appointment. What Causes Discoloration, and Can I Avoid it? Reducing or eliminating your use of tobacco, super-pigmented foods, and staining medications will help your teeth stay brighter, longer. You can achieve your most youthful and attractive smile with a simple tooth whitening procedure. Over-the-counter treatments can give mixed results, and can sometimes damage your teeth. For best results, choose professional-grade teeth whitening treatments, with follow-up whitening treatments as recommended by your dentist. In an in-office procedure, Dr. Catalano will apply the powerful Zoom! formula to the teeth, carefully avoiding the gums. He will monitor you during the brief whitening process. In less than an hour, you can leave with a smile about 6-10 shades brighter. We also provide take-home Philips Zoom! kits that can help you achieve the same incredible results. This process is slightly longer, but can be completed in the comfort of your home. We will give you customized trays and formula that you should wear a few minutes each day until you achieve the results you desire. Why Wait to Wear Your Best Smile? 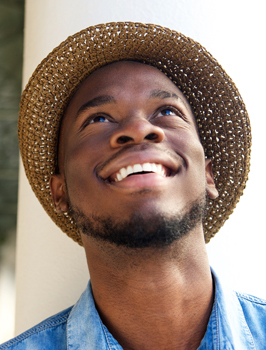 If you want to lighten your smile, give us a call today. We can give you your best smile at Chris Catalano DDS!